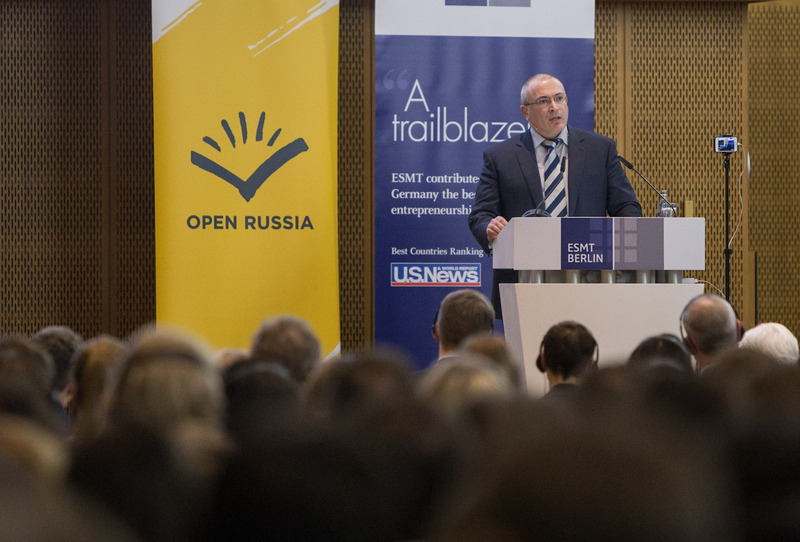 Below is a translation of the lecture delivered by Mikhail Khodorkovsky in Berlin on March 20 2017 at ESMT, the international business school. On 25 December 1991, the Soviet ﬂag was symbolically taken down from the Kremlin tower and replaced by the Russian tricolour. And just a little more than a month later, on 7 February 1992, the Maastricht treaty was signed, signalling the birth of the European Union – one of the main driving forces behind which was and remains Germany. Russian-German relations today are not the best they have been, and this has German society worried. Worried both for pragmatic reasons (Russia is an important trading partner – around 2% of GDP) and for historical ones (throughout the past century Russia and Germany have either been friendly or have fought ferocious wars with each other). But the main thing is that today’s Germany can not allow itself either to turn away from Russia or to close its eyes to the Kremlin regime’s attempts to transpose its internal practices inside Russia over to the international arena. Both the one and the other would mean a high probability that subsequent events will unfold in an wholly unacceptable way, because historical experience shows us that such regimes are inherently unstable on the one hand, and prone to try and solve their internal problems through external military adventurism on the other. 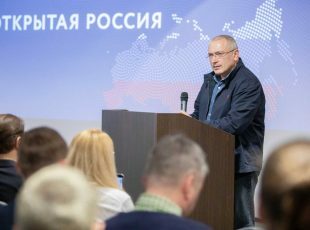 For the Kremlin, the best solution would be to monopolise all contacts with Europe on behalf of all of Russia, on the model of the Iron Curtain in Soviet times, because common European values such as rule of law, a government accountable to society, and democracy are alien to its very nature and represent a real danger – but this is impossible on a practical level in today’s transparent world. We are – the Russian Europeans. This term was made popular by the great Russian writer Fyodor Dostoyevsky. We are the people who are convinced that Russia is Europe, even if it might be another Europe. Russian culture is a part of European culture; Russian history is an integral part of European history. Russia has no other way to go than together with the rest of Europe. Yes, our room for manoeuvre is very small. We do what we can. I categorically reject the notion that it can only be an either/or proposition: either political struggle or “small deeds”, either coming out on the streets or trying to get the pseudo-parliament to use at least a tiny bit of common sense when it rubber stamps understandings reached between government agencies. Anything done to help bring change is valuable. There are those who criticise me for being open to the notion of working together with people with different views, including concerning the Ukrainian-Russian conﬂict. I see no grounds for such criticism. I have declared on numerous occasions that the Kremlin’s actions in Crimea and eastern Ukraine are unlawful, and that means criminal. 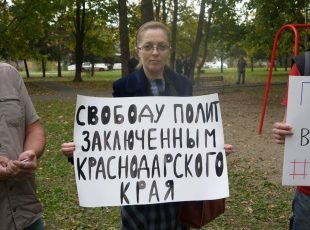 Furthermore, this is a crime not only against the Ukrainian people, but against the Russian people as well, inasmuch as it is destructive for Russian society. I am in favour of a parliamentary democracy, federalism, and reliance on local self-administration. I am not in favour of re-creating the system of power that existed at the end of the 1990s, and do not believe that everything will get better if we simply get rid of Putin and replace one set of “inefﬁcient managers” with “efﬁcient” ones. A law-based state, representative democracy, and real political competition – these are the principles on the basis of which I am prepared to work together with all kinds of different people. This is extremely important, inasmuch as a signiﬁcant part of today’s passive support for the regime derives speciﬁcally from this feeling that there is no alternative. Besides that, we want to have a real picture of what is going on in Russian society, which is something that ofﬁcial sociology and the governmentalised mass information media are providing less and less of. It is precisely for this reason that the work we are doing to create a regional network will continue. In the area of international cooperation, we are promoting contacts between Russian civic activists and their colleagues abroad, organising conferences and roundtables, and arranging training for people. What is imperative for us to have in this work is mutual understanding and support from civil society on both sides. These efforts have not been in vain – Germany enjoys enormous respect in Russia. Germany’s successes at achieving a national rebirth are highly valued, while its key role in intra-European processes is recognised and welcomed by Russian society. At the same time, Russian society is weak and perforce ﬁnds itself outside politics. The Kremlin categorically discourages any forms of civic self-organisation that are not under its control. weakness and the achievements that come from standing up to “traditional” corruptional models. It is by no means a sure thing that Ukrainian society will win in the short term, but its transformation into a force that the powers that be ignore at their peril is absolutely obvious. In other words, along with efforts aimed at keeping the Kremlin in check, it is imperative to continue efforts to get Russian society involved in common European processes. Cultural, scientiﬁc, journalistic, and student exchanges need to be expanded. More personal contacts, joint meetings and discussions, more interaction between individual people and civil society structures! You may ask why we keep talking about keeping the regime in check and not about a more ﬂexible approach. The answer is because it would be a mistake to turn a blind eye to Putin’s perpetual tactical move – overstep the line, see how they react, then either keep forging ahead or take a step back. 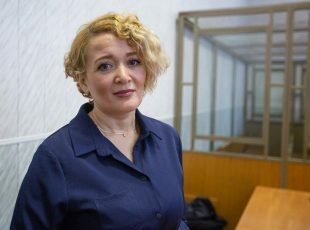 There are plenty of well-known examples, from several dozen “advisors” during the times of the maidan in Ukraine to the Ilovaisk troop operation, from the demonstrative ﬂights over military warships to the tragic incident in the skies on the Turkish border, where things came to within a hair’s breadth of a major conﬂict. If all of us together do not want yet another military conﬂict in Europe, if we do not want to see the social balance within European countries being shaken, then it is imperative to draw very clear “lines in the sand” and to demonstrate a readiness to take tough measures in response to any attempt to ignore these lines. For example, if there is an attempt on the part of a foreign state to inﬂuence elections, the response should be immediate expulsion or arrest, not sitting around for half a year trying to ﬁgure out who is going to respond to it and how. Respond as you should! Blufﬁng is not going to work here – you have already conceded too much. On the other hand, the Kremlin does not have any particular strategic alternative to reaching an understanding with Europe either. The attempt to shift the vector of relations in an easterly direction has clearly failed. Russia’s chronic simmering economic crisis is widening the technology gap, while military expenditures have once again become a crippling burden on the country’s economy. Perhaps the time has come to start a new Helsinki process as a way of resolving what has escalated into a full-blown situation. European society needs to understand – the pendulum in Russia is deﬁnitely going to swing in the direction of reform and modernisation in the next decade. There is no new “unique path” in sight. We are going to have to use our usual catch-up methods to reform the economy, which in many ways remains behind the times despite the generous inﬂux of petrodollars over the last 15 years. But we should not assume that it will be the people’s dissatisfaction with the state of affairs in the economy that will lead to a change of the current regime. We still have a long way to go to get to that point. More likely we will witness an increase in the friction between representatives of the power elites, who understand how greatly their place in the system, and indeed the system itself, are dependent on one person. And that is a sufﬁciently shaky foundation, even taking into account that Putin is still not nearly as old as Brezhnev was. The question of a change of leadership in Russia is already moving into the practical realm. What the elites are really hoping to get from the 2018 elections is not so much a validation of Putin’s mandate as a clear programme for getting out of the stagnation and setting the stage for a peaceful transfer of power by 2024. The European countries have got to get ahead of the curve and start thinking about how they intend to respond to what is coming. Europe is capable of helping to facilitate positive changes in Russia, appealing to its pronounced sense of belonging in Europe. However, it must be made very clear that we are talking not about a simulation, but about a real, internalised acceptance of democratic values, about the establishment of a rule-of-law state in practice. Europe is going through a period of changes of its own. This is distracting attention away from Russia and those problems that its current leadership is creating. Everything from propaganda lies and the use of unlawful methods to inﬂuence the political life of the European countries to exporting corruption and stirring up military conﬂict in the Ukraine. As I have already said, today’s Russian leadership is endeavouring to barricade the country from European inﬂuence in order to slow the movement of history’s pendulum. It wants to achieve this not only by means of internal restrictions and propaganda, but also by sowing discord in the European family of nations. The “divide and conquer” principle is the Kremlin’s weapon of choice both inside and outside the country. We must take into account the mistakes of the 1990s, when a whirlwind of rapid changes caught both Russians and Europeans off guard. We are doing what we can. Let us work together.